Home maintenance, especially when it comes to your plumbing system, is often a task that is put off by many homeowners. We get it – sometimes we take our indoor plumbing systems for granted and just assume waste will be taken away and we’ll have a properly running system. But what happens when you do have a problem with your sewer drain system? Being able to identify the signs of an issue will allow you to act quickly before the repair becomes increasingly expensive. A sewer drains to the main plumbing line that runs between your house and the city/municipal sewer line. The drain is typically located on the lower level of your home, near the water heater or furnace, and typically goes unnoticed unless there’s an issue with it. While the main job of your sewer drain is to take waste and water away from your home, it is possible for the sewer line to become compromise, which can cause waste to become blocked. Here are some common signs of trouble. Smells that come from your drains are never pleasant but when they have a hint of rotten egg, or any other strong or noticeable scents, this is a sign you have a sewer problem. The rotten egg scent is actually the sewage backing up into your pipes. We’ve all had a slow to drain shower or sink. 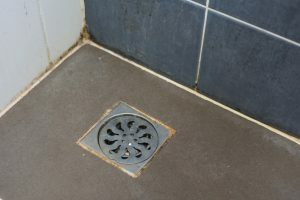 Typically snaking the drain or using a drain cleaner will help solve the issue, but what if it doesn’t? This is a sign that the clog is further down, closer to or in the sewer drain. If you’re experiencing a slow draining fixture, or several fixtures, have a professional come in to check your sewer drain for clogs or other blockages. If there is standing water or sewage in your drain, this is a major red flag that something is wrong with your sewer drain. Even if it’s right below the drain grate, call your plumber as soon as possible to have the issue fixed. Once you’ve noticed an issue with your home’s drainage, the first step would be to have your plumber come out and perform a sewer line inspection. Depending on the cause of the sewer drain issue, your plumber will try to break up the clog using a snake or will provide you with safe options to fix the issue at hand. If you’ve noticed any of these signs, give Plumbing 911 a call today at (330) 952-1900 or (216) 246-0566.